Gelatin is truly remarkable in terms of its many functional properties in food applications. E – An ESSENTIAL ingredient in various confectionery products and other foods. It can function as a gel, a whipping agent to foam and aerate, a protective colloid, a binding agent, a film former, a thickener, a processing aid, an emulsifier, a stabiliser or as an adhesive. In some applications, several of these functions are called upon together. 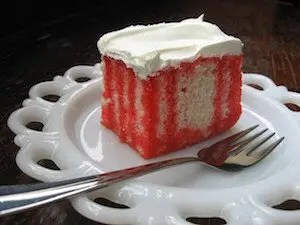 Gelatin desserts are perhaps the most widely known use of gelatin to people of all ages. They can be traced back to 1845, when a US patent was issued. Over 150 years later, they remain popular worldwide. Gelatin confections are typically made from a base of sugar, corn syrup and water. To this are added flavour, colours and texture modifiers. 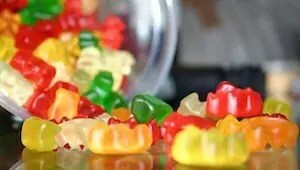 Gelatin is widely used in confectionery because it gels, foams or solidifies into a piece that dissolves slowly in the mouth, gently releasing flavours and creating a smooth taste sensation. Gelatin acts as both a texturiser and a stabiliser in many dairy products, including yoghurts and supreme ice creams. In yoghurts it helps avoid the floury texture of starches, while in ice creams it controls the excess formation of ice crystals. In both yoghurt and ice cream, as with similar dairy desserts or iced confections, gelatin melting at body temperature provides a smooth creamy sensation and allows the full release of flavours and aromas. There are jellied meat products of many kinds. For example, gelatin is use in gel aspics, glazed and canned meats. Its main function is to absorb meat juices and give form and structure to products that would otherwise fall apart. Gelatin’s unique properties are utilised in the production of many ‘lite’ foods and items such as margarine and other low fats.